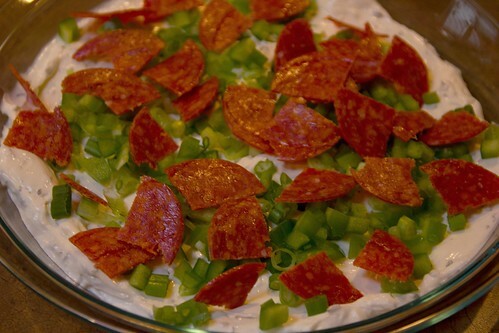 this is a very delicious recipe from my aunt debbie. i’m sorry for the quality of this iPhone photo*, it just doesn’t do this dip justice. you’ll have to try it for yourself! *edited on 1/1/2012 – updated and added pics! *other toppings of your choice may be substituted. beat first five ingredients in a small bowl using mixer. 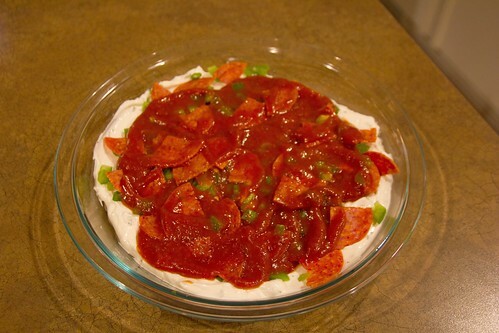 spread in a pie dish. 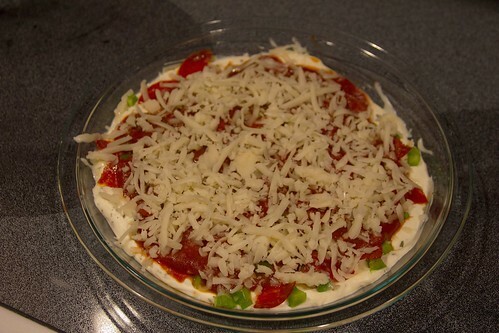 spread pizza sauce over top. 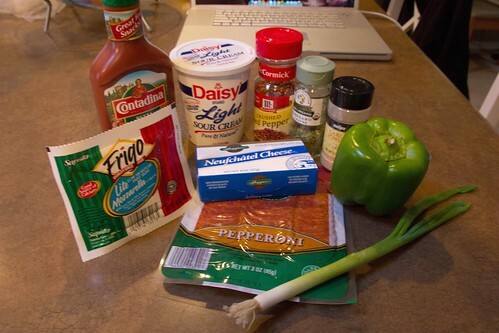 chop pepperoni, green onion and green pepper. sprinkle on top. 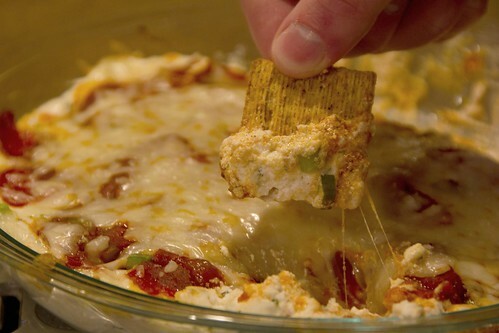 shred cheese and put on top. bake for 10 more min. 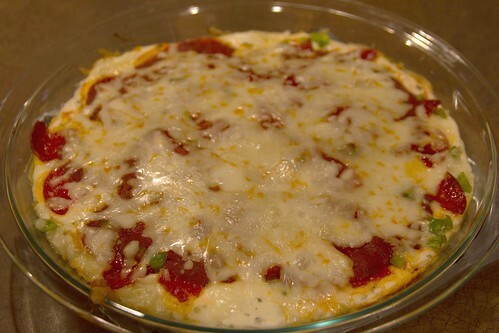 serve with breadsticks or crackers.